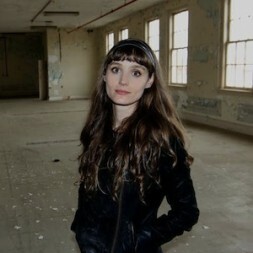 Caroline Walker is a writer, producer and urban explorer originally from Rock Island, Illinois. Her work focuses on the relationship between people and environment, with emphasis on American identity through sense of place. Thanks to the delicious dose of time, space, freedom and support offered during Kerouac Project residency, Caroline finished her first novel this past year. (Central Florida just might be her favorite character.) She is at work on her next novel and looks forward to sharing details. Her nonfiction project-in-progress, America Underground, documents stories unearthed while hiking tunnels, mines, architectural time capsules, tracks, trails and unbeaten paths. In June/July 2015, Caroline will head to the North Pole aboard the Arctic Circle Summer Solstice Expedition, where she will call upon fairy tales to explore cultural connection with the natural world. Caroline holds a BA from the University of Southern California and an MA from New York University’s Gallatin School. Sion Dayson is an American writer living in Paris, France. Her work has appeared in The Wall Street Journal, Utne Reader, Hunger Mountain and several anthologies including Strangers in Paris (Tightrope Books), James Baldwin: Challenging Authors (Sense Publishers), and Seek It: Writers and Artists Do Sleep (Red Claw Press), among other venues. Her essay about living in the Kerouac House was published in The Writer and The Rumpus. Sion holds an MFA from Vermont College of Fine Arts and was awarded a grant from the Money for Women/Barbara Deming Memorial Fund for her fiction. Her novel manuscript, for which she’s seeking publication, placed on the Short List for Finalists in the William Faulkner-Wisdom Creative Writing Competition and in the semifinal round of the James Jones First Novel Contest. She’s at work on her next book. 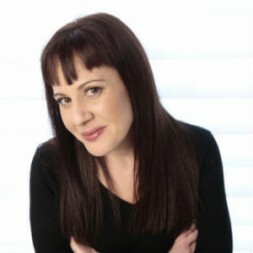 Maya Sloan is the author of High Before Homeroom (Simon & Schuster, 2011). As a ghostwriter, she wrote The Waymor with Will Smith I and Redefining Diva with actress Sheryl Lee Ralph (Simon & Schuster 2011). As a co-author, Maya wrote Rich Kids of Instagram: A Novel (Simon & Schuster, 2014) which was recently optioned for television by NBC Universal. Rebels: City of Indra, co-authored with Kylie and Kendall Jenner (of the Kardashian clan) was released last summer by Simon & Schuster and is the first in a trilogy. 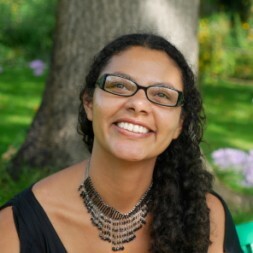 Maya has an MFA in Creative Writing from Boston University, as well as one from the University of Arkansas. She has appeared in literary publications including Passages North, Boulevard, Quarterly West and Driftwood.